What a PAGM [Personally Awesome Geographical Moment]! 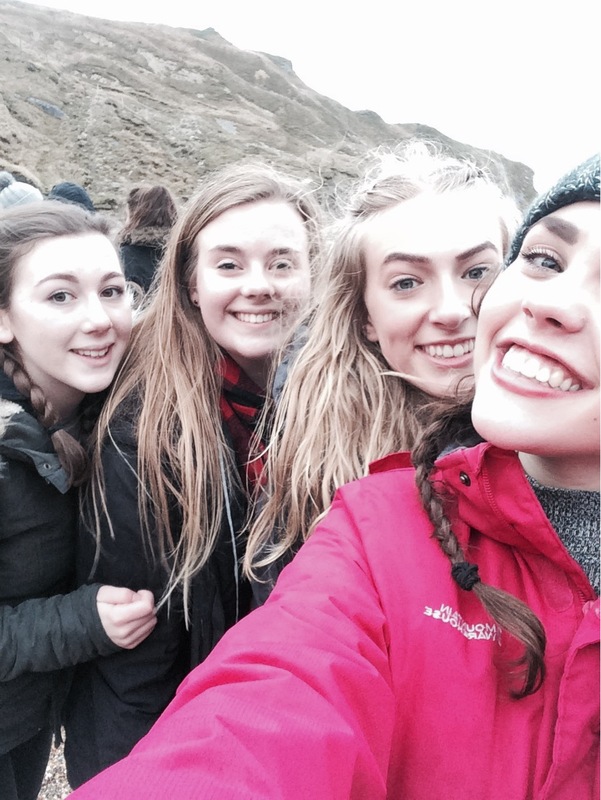 I was so lucky to have had experienced the wonders of Lulworth Cove, with an amazing group of people, on my A Level geography trip. Lulworth Cove is a spectacular geographical attraction situated in Dorset; along the World Heritage Coast. The cove is a wonderful place for any geographers, or simply anyone who loves the coast or walks. When we arrived I couldn't believe how cold and windy it was! We started to ascend up the side of the cove whilst trying not to slip or fall! The wind battled against us, my hair swirled in all directions, and I have never laughed so much! We walked down on to the beach and threw stones into the crashing waves - also we of course took the opportunity to take some photos! It was very windy as you can see - haha! I would definitely recommend a trip to Lulworth Cove, it is such an amazing place to see and explore!